SASH Gals: They are so Enchanted! 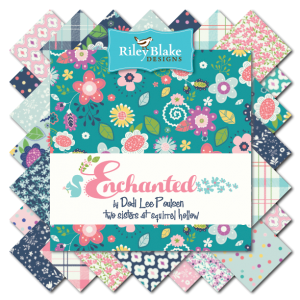 My friends and I have been busy playing with my new fabric line for Riley Blake, Enchanted! What fun we have had!!! How cute is this apron!!! 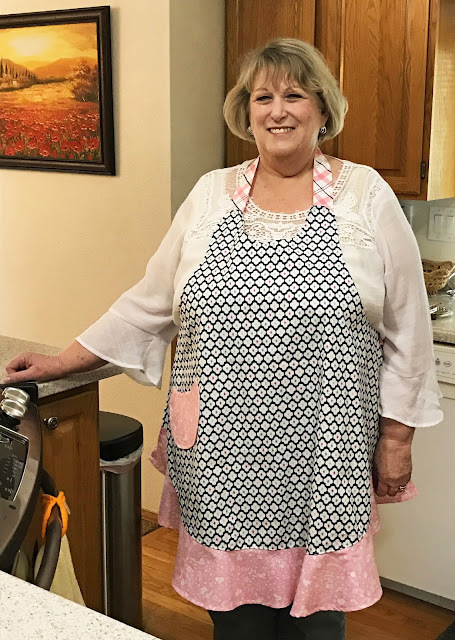 My dear friend Linda is modeling a terrific apron by Cabbage Rose (Sassy Apront). The pink squirrels in the Enchanted line were screaming to be made up in something cute. And that’s what this is… Just plain cute and so practical. What a fun gift this would be for any one of your friends. Sizes are Small to Plus size which is always nice to have. I made these for my grandkids school teachers once and they were a big hit! My friend, Chris, made this adorable bag. 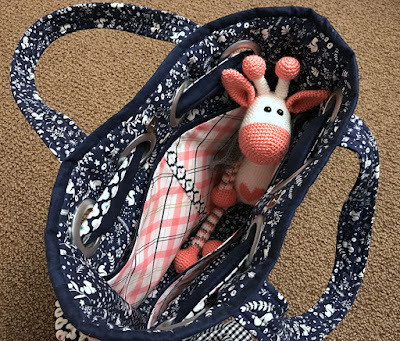 (Wide Open Bag, Patterns by Annie) This is the largest size and it is wonderful! It is nice and roomy and will be perfect for a multitude of purposes. There are 3 sizes. The bags use the large zippers and are fairly easy to make. Bags keep their shape by using the foam or headliner fabric. Make up a few for gifts, but be sure to keep some for yourself. This bag is featured in the Enchanted Teal main with a shade solid, Flamingo by Riley Blake. My friend, Jen's got my bag!!! I had to get in on the fun too! Can I just tell you how much I love this bag? This is my standby most favorite purse pattern ever! Doesn’t it look just fabulous in the pink plaid from the Enchanted collection? I just adore it! This purse has lots of pockets and plenty of room as an everyday bag or for travel. It can also be used as a diaper bag. So very versatile. 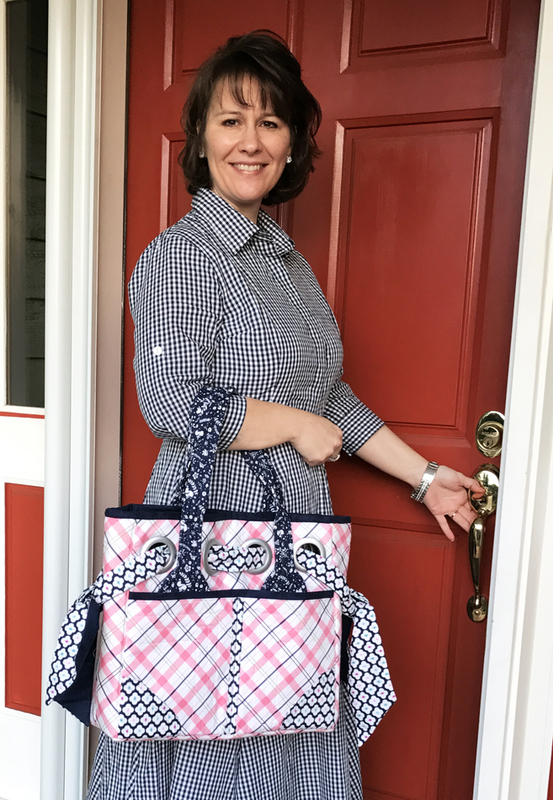 The pink plaid, blue medallion and navy squirrel fabric prints work so well together in this combination. I just can’t stop making things from these Enchanted fabrics…just so much fun! TIP: My local quilt store stocks headliner fabric. It’s the same as the foam stabilizer that is sold in packages, but a fraction of the price!! Ask your store about carrying some. Those pockets inside!!! You can carry all sorts of treasures! Looks like Jen has snuck in a friend! I may kidnap him and take him home with me!!! I used these two threads for the Bon Voyage bag. You can find Enchanted fabric Here and Here and Here! Ask for it at your Local Quilt Shop!! 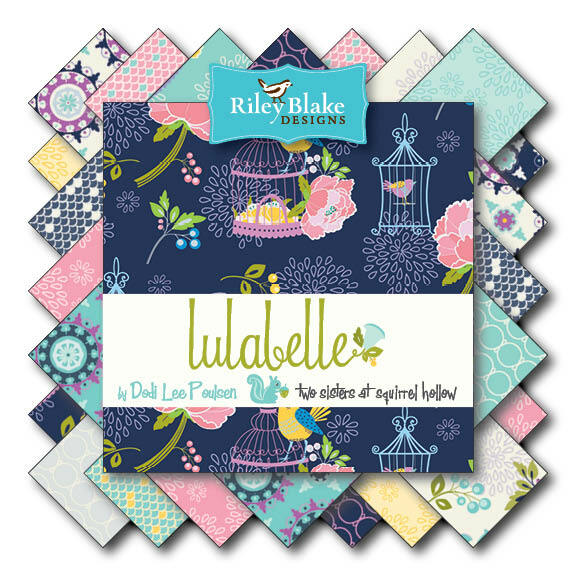 You could win a bundle of Enchanted fabric by leaving a comment here. One entry per blog post per day of the Blog Tour, here on Loose Threads. Enter everyday to increase your chance of winning!!! Beautiful. The apron is so cute and the bags!! We never can have enough lovey bags! Love the apron! The bags are neat. this are wonderful projects. I especially love the apron. I need to make one for myself. mine is 32 yrs old and really needs replaced. LOL thanks for sharing. oh, this is fun that is was a collaborative effort, kudos to you all. Cute apron and bag. I haven't worked with grommets yet. Beautiful fabric and the apron was a perfect choice to showcase it. Love the bags too. NEAT PROJECTS! THANKS SO MUCH FOR SHARING! So gorgeous projects.The bag mis my best favorite and more with many pockets! all great makes with the fabric line...lovely bag pattern, just what I am looking for as I need a new diaper bag. I want to make one of those bags. So much room. I love a big bag. Thanks for all the great projects. Looove the bags!!! These fabrics are soooo Awesome!!! Nice projects, especially the bag! I love the fabrics you used. Just gorgeous! Great tip about the headliner -- I use it too and have had great results. Great projects. The prints are cute, too. Thanks. Headliner Fabric? What a good idea! Such a pretty apron and bag! I just love this new collection! Beautiful fabric! Love your projects! Thanks for the blog tour! I love the bag. I haven't made a bag in a while so maybe it's time to give it another go--maybe using Enchanted! Love that little pocket. Could easily be added to pouches or bags. Love the blog hops! Thank you for sharing with us! love all of the tote bags. Bags are my weakness especially pretty hand made bags. The apron is cute, too. Elegant apron and love the bags. I am obsessed with the fabric. Such fun and beautiful projects, using this gorgeous new fabric! The apron is super cute! That little pouch is so cute! I love those bags - especially the little pouch. Thanks! What beautiful bags! 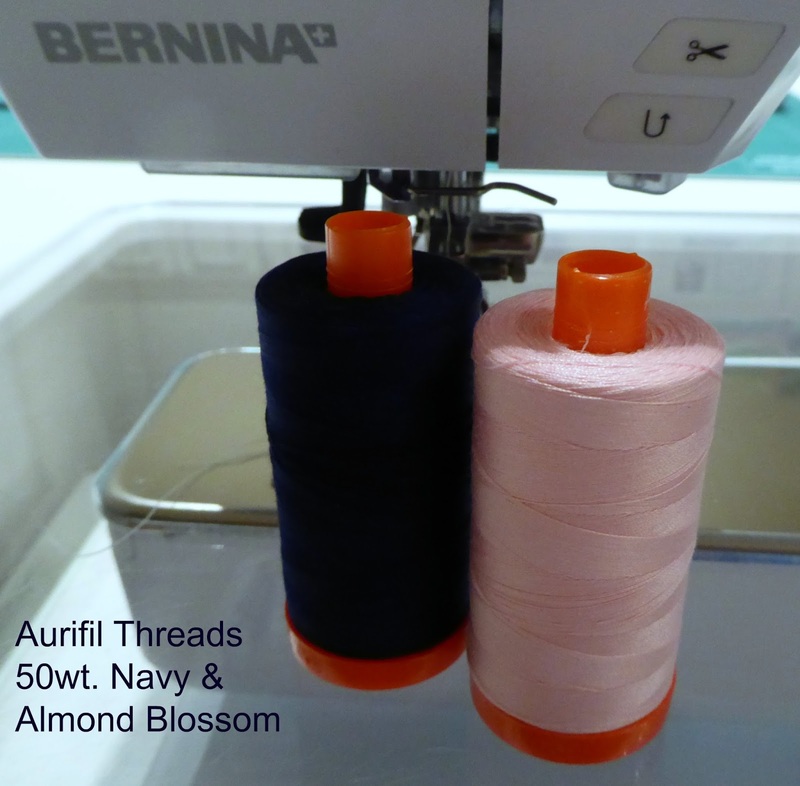 I love the pink, blue, and navy fabric combinations! That bag looks fabulous! I also like that you shared which thread colors you used. Thanks! Very neat projects! I would love to have that bag! Love all the projects. Thanks for sharing. We very much appreciate your comments. Thank you! The Enchanted Blog Tour kick off!